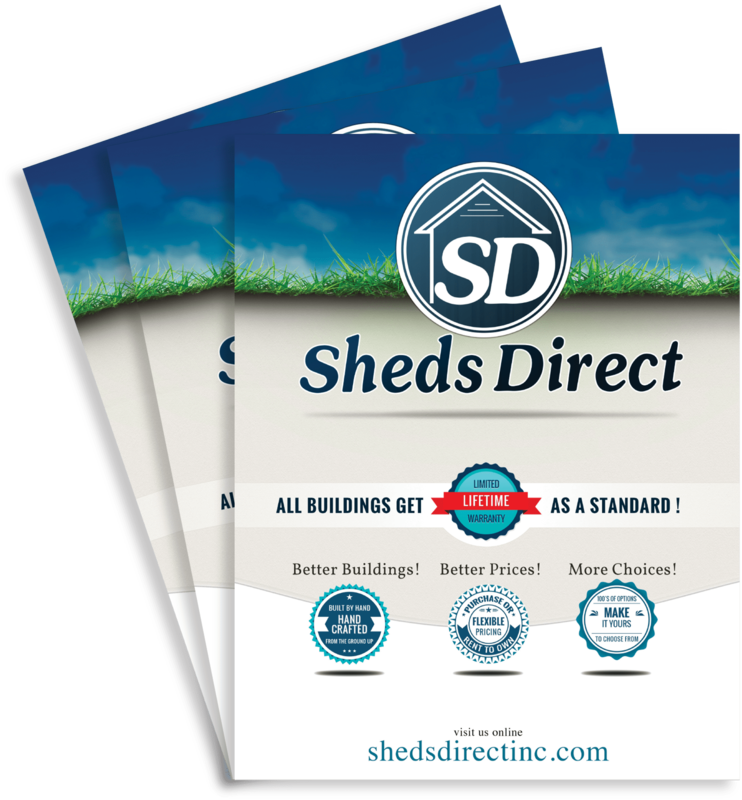 Playsets - Sheds Direct, Inc.Sheds Direct, Inc. 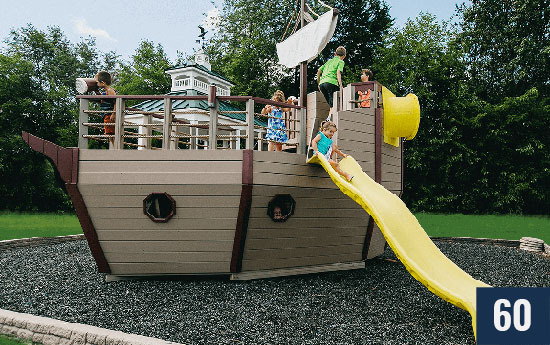 Constructed of durable vinyl, our playsets are a stress-free and maintenance-free way to encourage physical activity and a vivid imagination. 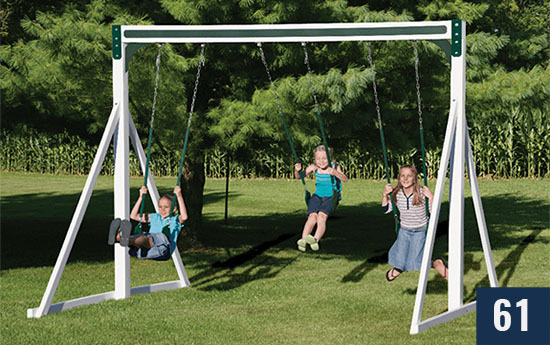 When you purchase a Swing Kingdom playset, there is nothing "standard" or "cookie-cutter" about it. 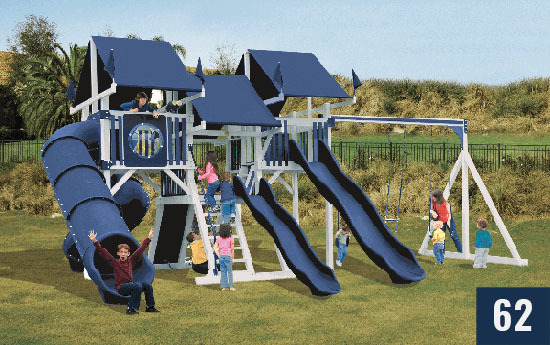 Every one of our vinyl playsets can be customized and you can see your individualized design come together in real time when you use our interactive Design Center tool. 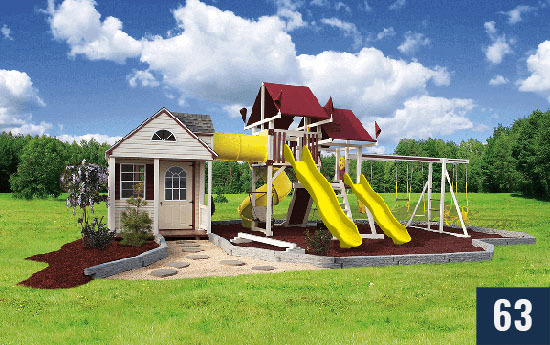 To start your one-of-a-kind design, simply click on the balloon to choose a playset base. From there, you can let your imagination run wild!  Click on each balloon to add to, or revise your playset's features. 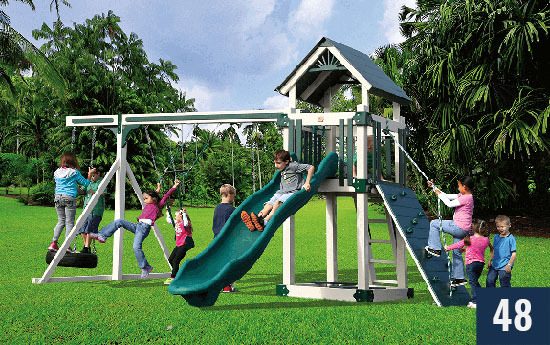 Expand your swing beam to hold more swings, upgrade to a Turbo slide, incorporate a rock wall climber or cargo net, select the perfect color combination, or add play levels with a simple click. Change your mind? Want to try something new? Just remove an element and add something new in its place! 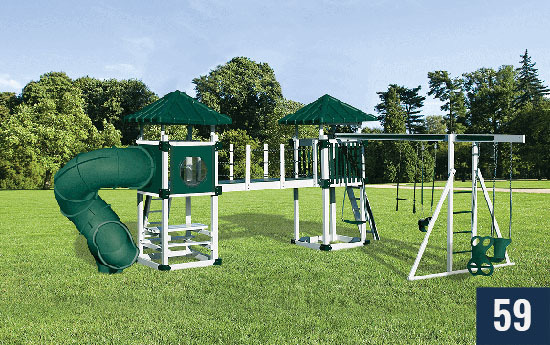 The Design Center tool will keep a running tally of the playset elements you've chosen and can give you an estimated cost of the design you've crafted. This will help ensure that you stay within your budget.